Fan comes with Light Kit and 6" downrod. * Fan has Royal Bronze Finish, Light kit has Burn..
52" Mountain Knotty Lodge Fan with Antler Bowl Fan and Light Kit have Weathered Patin.. 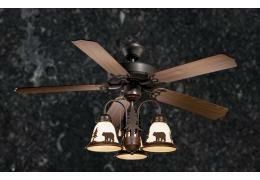 Fan includes antler light kit w/ Burnished Bronze finish, fabric shades, 4" downrod and mountin.. 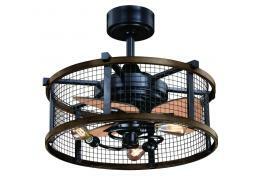 The Lake Home 56” Indoor/Outdoor Fan brings a trendy nautical look to your living spaces. The New .. Fan includes antler light kit and 4.5" downrod as pictured. Can be Flush Mounted. 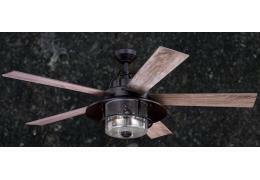 Fan has Aged..
* Fan has Weathered Patina Finish, Light kit has Burnished Bronze Finish * 52" Blade Span.. Fan includes antler light kit and 4.5" downrod as pictured. 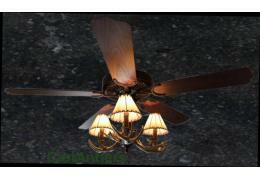 Fan has Aged Pewter Finish wi..
52" Fan comes as pictured with light and remote. 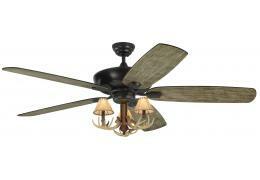 * Fan has Gold Stone Finish with Frosted Opa..
Ceiling Fan includes antler light kit and 4" downrod. 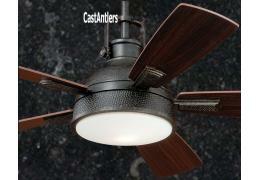 Roman Bronze Finish with American Walnut..
Ceiling Fan includes antler light and flush mount kit. Fan also includes 4" downrod. 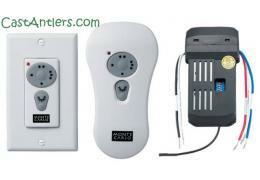 Rom..
Canopy receiver includes optional wall mount or hand held transmitter - features downlight control. .. 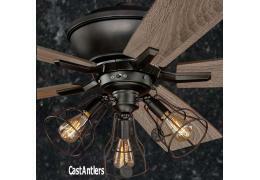 If you've seen a lower price on one of our rustic ceiling fans call or email us and we'll match or beat it. 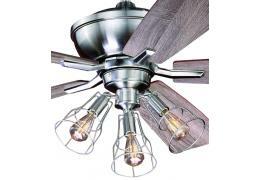 We strive to have the best rustic ceiling fan selection and prices.